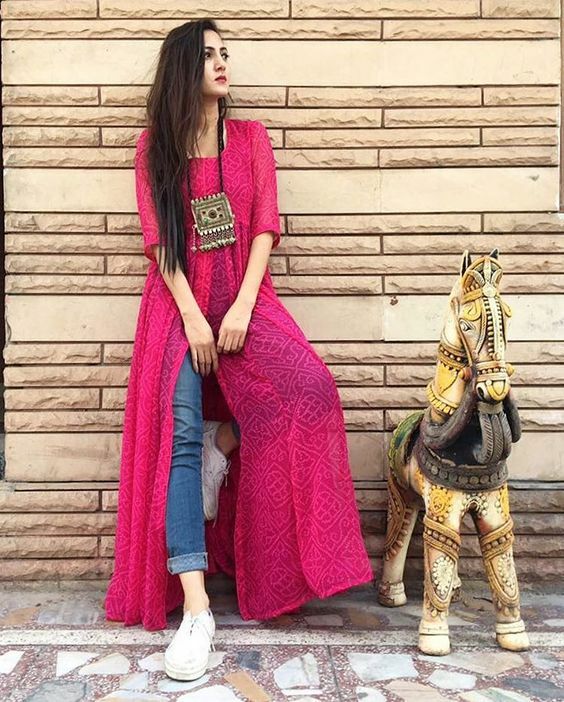 Kurti with jeans is one of the latest trend among Pakistani and Indian Girls as it offers a mix of traditional and western style hence this article is all about new trendy ways to wear kurti with jeans. Kurti is loose fitting shirt that comes in various lengths meaning that long short etc. 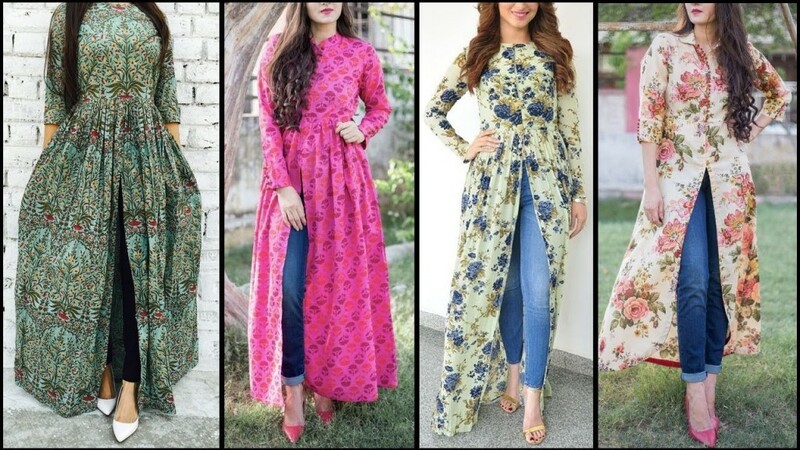 Different styles of Kurti with jeans looks awesome and comfortable to wear because you do not have to spend lots of time and money in buying traditional outfits. 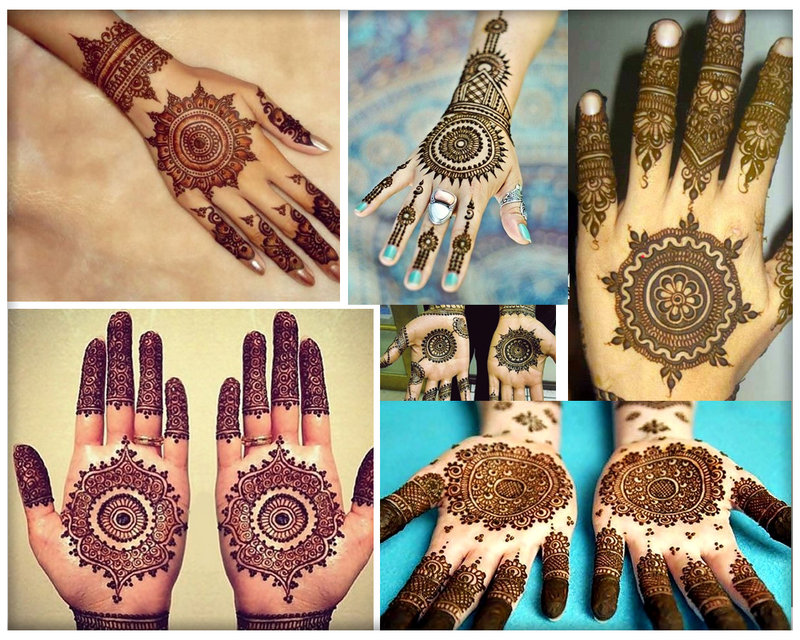 It’s hassle free in a sense that you only need to grab a pair of jeans and match it with any kurti in your wardrobe. Therefore this post features New trendy ways to wear kurti with jeans 2018, and explore how to wear slit, short, long kurti and peplum with jeans. Pro Tip: You can wear kurti with jeans casually and even as semi formal dress you just need to think out of the box and mix & match items see the pictures below you will get to know how to style kurti and jeans formally. How to wear kurti with jeans? 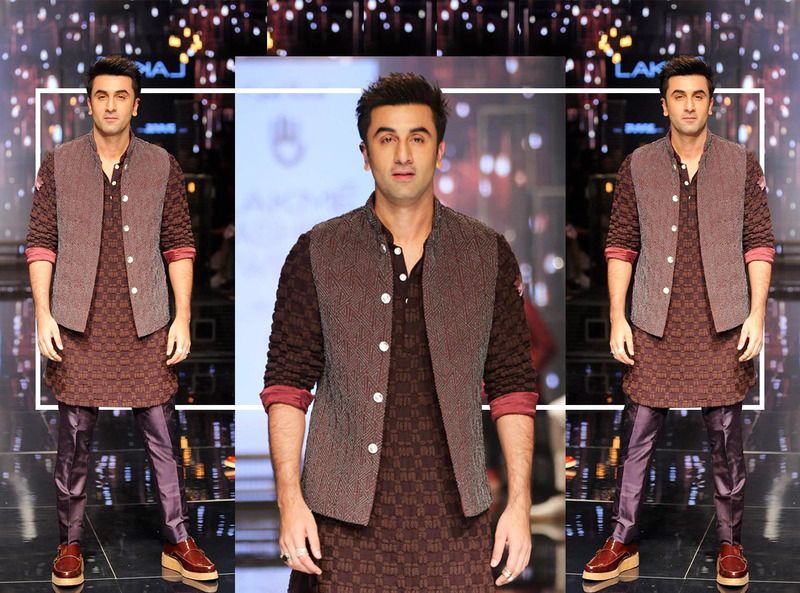 How to look trendy in kurti? 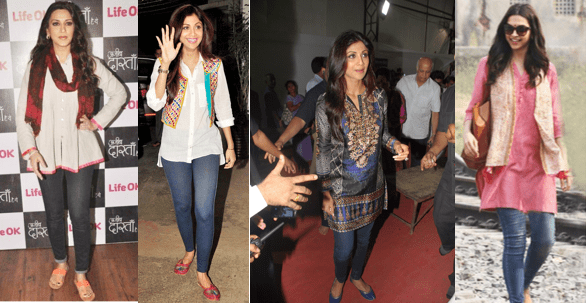 Celebrities in kurti with jeans to give you inspiration. 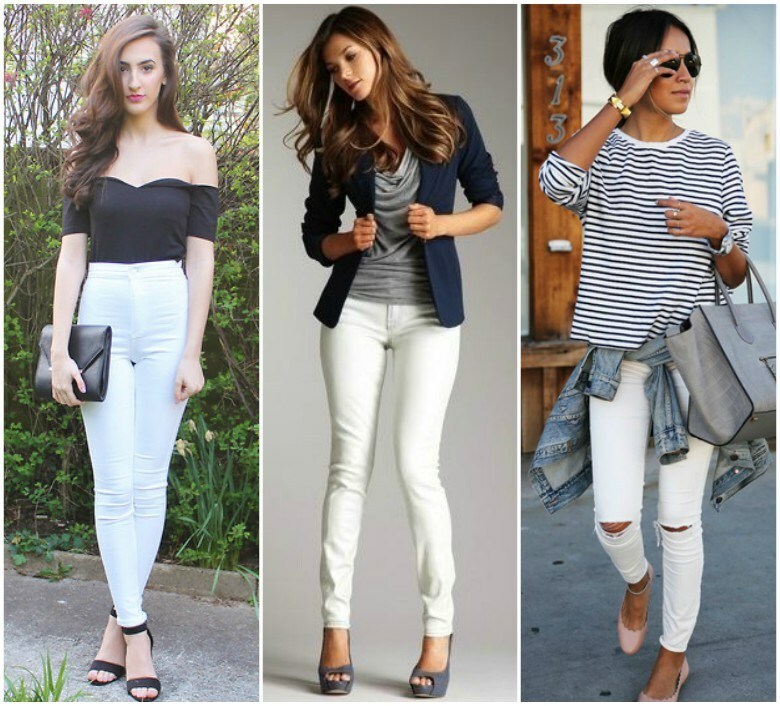 There various ways to wear jeans with kurti or kurta but if you looking for stylish kurti with jeans, we have few tips for all the girls. Kurti/ kurta with jeans is the perfect choice for college, university and working girls .Watch a video below to see more latest kurti/kurta designs with jeans for girls 2017 2018. Bollywood offers latest fashion transformation each year, this year slit kurti with jeans was a major trend. 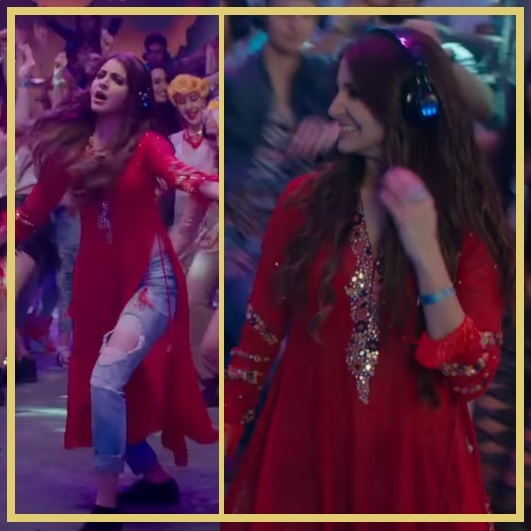 Anushka Sharma in Aye dil hai mushkil, kriti sanon in Raabta movie, Deepika Padukon in Piku and Alia Bhatt in Dear zindgi have shown this slit kurti trend. 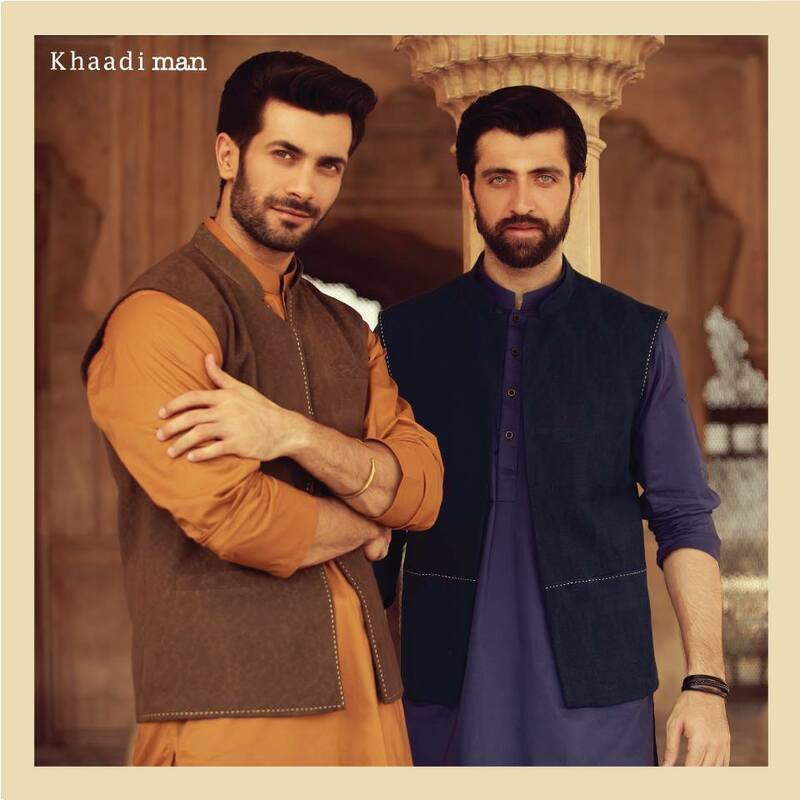 Pro Tip: Wear slit kurti with ripped jeans because this is the hot the hottest trend these days. Pro Tip: Don’t forget to accessorise kurti with wrist watch, dainty earrings and necklaces. Long or below knee kurti is back again because this is the era of mix, match, wear and flaunt your own style. Many brands in Pakistan are offering long shirts along with short ones. 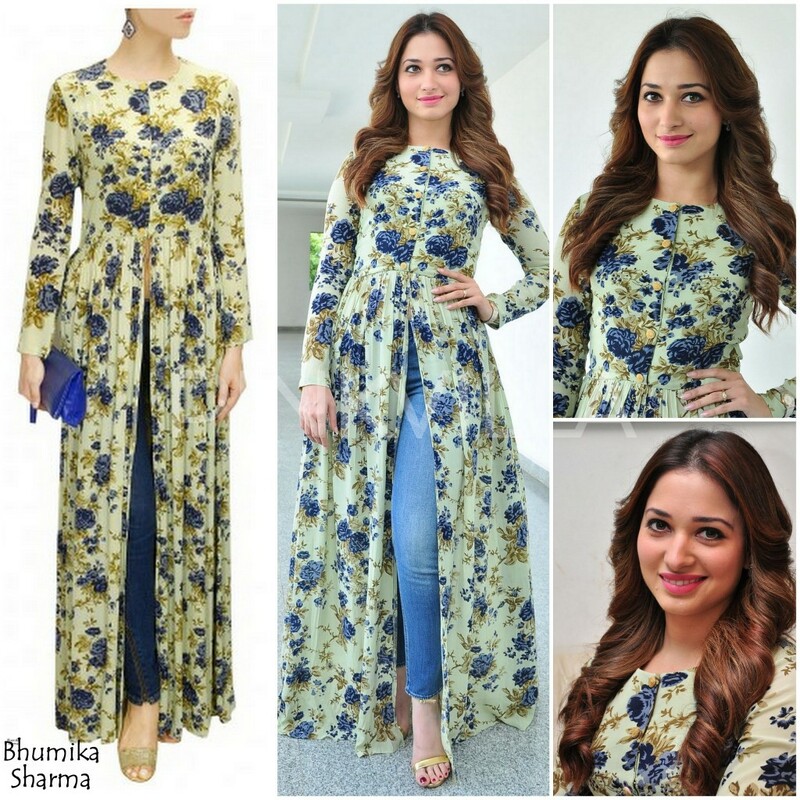 Long kurti with jeans is one of the most comfortable attire to wear all the day long. 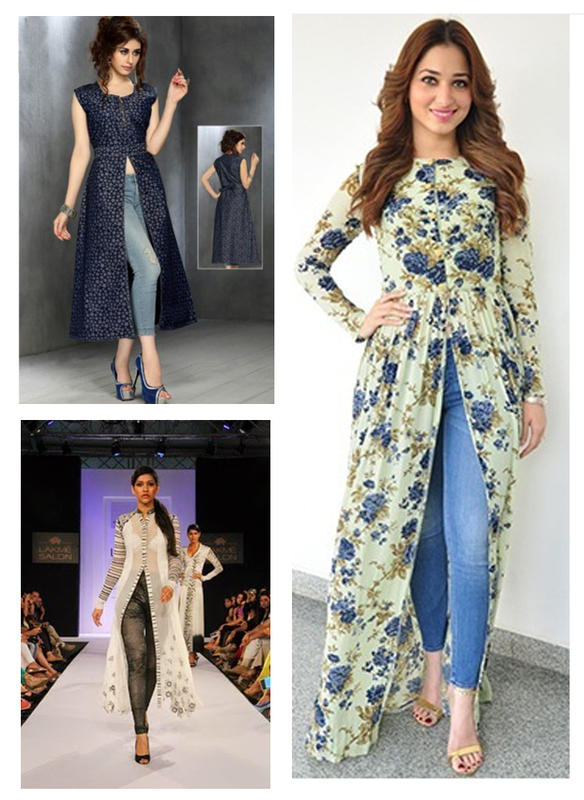 Take a look on the long kurti with jeans wore by Anushka Sharma that might give you goals how to wear kurti with jeans. Short kurti make a major come back since previous year as the lengths were getting shorter. 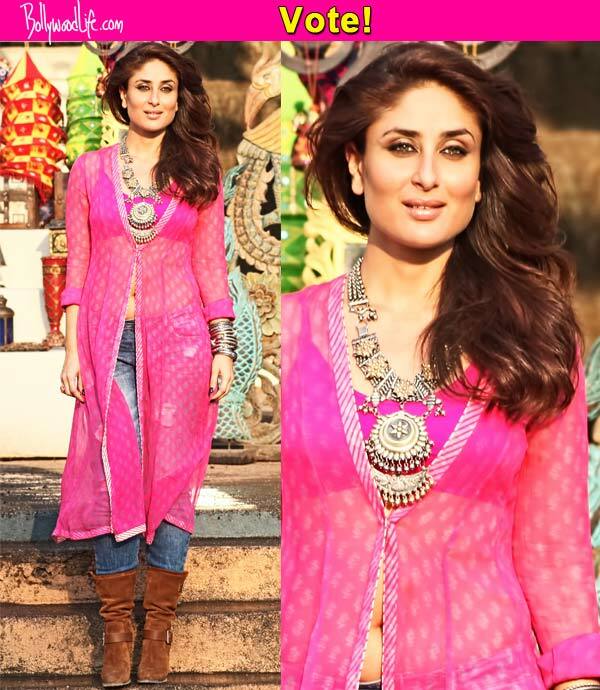 This is the most trendy way to wear kurti with jeans that is close to western style yet in traditional way. You can get short shirt from any clothing brand from breakout to khaadi. 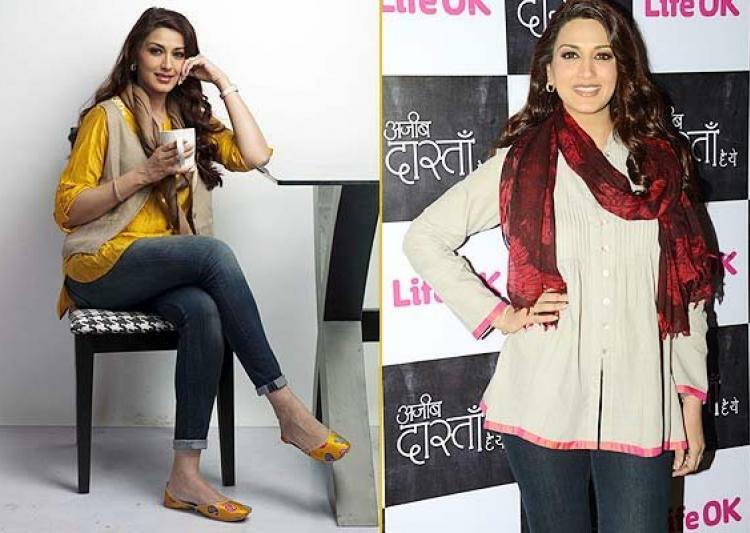 Have a closer look at the images below to see how to style short kurti with jeans whether plain or printed. Peplum or short length frock is one of the most popular trend this year, pairing peplum with jeans make it more stylish. So grab a peplum and flaunt in new look. 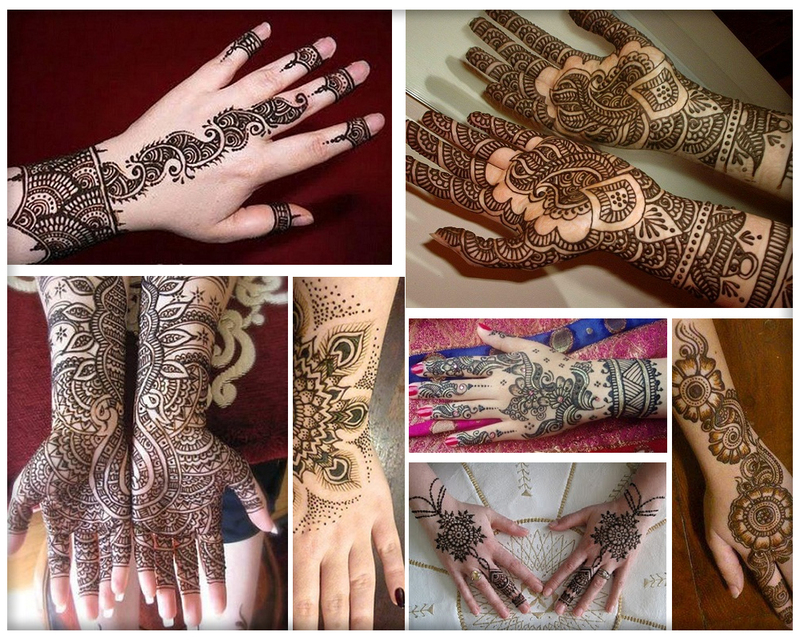 Various clothing brands like Ego, Sapphire, generation and Khaadi has offered peplum style casual kurti designs. Above you checked out new trendy ways to wear kurti with jeans and how to style kurti in different ways. 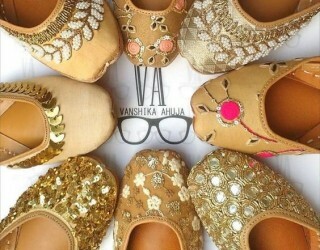 I hope you get the inspirational ideas to style kurti with jeans and looking chic. 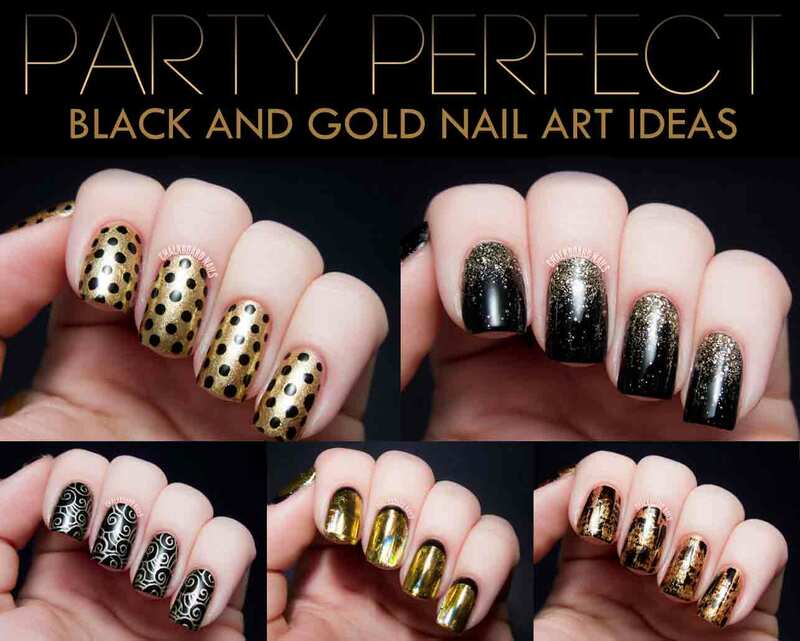 If you like the post follow me on Instagram, Facebook, Twitter, Pinterest and google plus and share it with friends because sharing is caring and help me grow community for more fashion beauty and lifestyle stuff.